Mindfulness seems like a pretty straightforward term. As the word itself suggests, the mind is fully conscious of what’s happening, your actions and the space you’re moving through. That might seem an easy enough achievement, but it isn’t – we are only too easily distracted. We tend to drift away, we lose touch with our body, and we start worrying about the future or obsess over something pesky that’s happening now, which contributes to anxiety. Mindfulness is the human ability to be fully in the present moment – the Now, with pure awareness without judgement. It is being without judgement that really is key with being Mindful. When we are in this state of being Mindful, we are no longer being caught up in our thoughts and emotions about the past and the future where we lay judgement e.g., “if xyz situation happens, then it’s going to be really bad” or, “Why did I say that? I’m such a terrible person”. Rather we are at peace and calmness with the Now, being aware of any thoughts or emotions that come up, though no engaging in them, thus letting go of any psychological distress and coming to a place of stillness. Mindfulness meditation gives us a time in our lives when we can approach our experience with warmth and kindness, stop being judgmental and release our natural curiosity about the inner workings of the mind. Mindfulness is involved in various religious and secular traditions, ranging from yoga to Hinduism and Buddhism. It is also part of non-religious meditation. People have been practicing mindfulness for millennia. Generally, mindfulness became popular in the East by religious and spiritual institutions, and via special people and non-religious establishments in the Western world. The secular tradition of mindfulness in the West has its roots in Eastern religion and some of its practitioners. Mindfulness also has roots in Judaism, Islam and Christianity, but most modern Western teachers and practitioners of mindfulness learned about it in the Buddhist and Hindu tradition. Modern-day mindfulness practice is based on Buddhist vipassana and the training of sati, which means “moment to moment awareness of present events” and “remembering to be aware of something”. It offers insight into the workings of reality, the non-self, the impermanence of everything. The practice of vipassana plays a key role in other Buddhist traditions as well. Mindfulness provided the way to liberation in early Buddhism, constantly surveying sensory experience in order to prevent cravings which would cause perpetual rebirth. The forms of Buddhist and Hinduist religion and spirituality which were introduced in the west in the 19th century were influenced by a number of manifestations of Western esotericism, such as Transcendentalism. Transcendentalism was closely connected to the Unitarian Church, which collaborated with Ram Mohan Roy (1772–1833) in India. He found that Unitarianism as a denomination came closest to Christianity. This modern interpretation of Hinduism became very popular in the western world. Vipassana meditation was brought to the attention of the west in the 19th century by the Theosophical Society, and Zen Buddhism gained popularity through the modern interpretations of D.T. Suzuki. Mindfulness is a key anti-stress element. Numerous studies find support for the idea that mindfulness reduces stress. It facilitates an adaptive response to daily stressors, produces more coping and less avoidance as a response to stress, and helps alleviate stress through improving emotion regulation, leading to better stress-coping ability and mood. Mindfulness is able to help specific people or groups of people in special ways. It has a positive effect on people suffering from restless legs syndrome, parents of young children, healthcare professionals suffering from burnout, war veterans with depression and/or PTSD and law enforcement officers. How does mindfulness help? 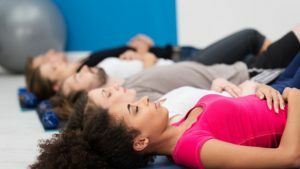 Mindfulness practice can induce a state of relaxation, resulting in improved brain functioning, increased immune function, lowered blood pressure and heart rate, increased awareness, focus and attention, lowered anxiety, enhanced clarity in thinking and perception, feeling calm more often, and feeling connected. It can be enough to close your eyes for a moment and be silent. Studies on the impact of mindfulness training on cancer patients and others suffering from chronic and/or terminal illnesses show that symptoms of the illnesses become more manageable. The cancer patient therapy program eCALM found that mindfulness can enhance spirituality, facilitate post-traumatic growth, reduce symptoms of stress and decrease feelings of fatigue. A study on patients with chronic spine diseases found that mindfulness improved patients’ ability to function independently. Mindfulness can also help patients be less focused on the pain, thereby improving their quality of life. A study of breast cancer survivors in China showed that mindfulness can enhance posttraumatic growth and decrease stress and anxiety. Young breast cancer survivors who practiced mindfulness were more likely to experience less stress and increased self-kindness. Mindfulness, yoga, and meditation have also been found to reduce anxiety and facilitate post-traumatic emotional growth in cancer survivors. Mindfulness is well-established as an effective supplemental treatment for depression. It can decrease depressive symptoms, stress and anxiety and increasing compassion in combination with yoga. It does this by enhancing people’s ability to regulate their emotions. By practicing mindfulness, you can identify negative emotions and accept them instead of fighting them. This makes it possible for mindful thinkers to cope with and manage depression more easily. 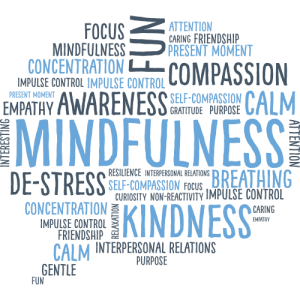 A study from Costa and Barnhofer (2016) indicates that brief training in mindfulness can assist participants struggling with depression in minimizing their symptoms by means of achieving better emotion regulation. Another study on the effectiveness of mindfulness found that it reduced depressive episodes and health care costs as a result (Shawyer, Enticott, 2016). Mindfulness can even help people struggling with very severe depressive symptoms, including thoughts of suicide. It has been found to be more effective than standard treatment methods and approaches in chronically depressed individuals with suicidal thoughts. Mindfulness’ benefits go beyond mental health. Practicing mindfulness can enhance or increase multiple forms of health-related behavior, such as getting regular health check-ups, avoiding nicotine, and being physically active. People who practice mindfulness have a lower incidence of smoking, more physical activity, and a healthier body mass index, leading to better cardiovascular health. The practice is positively associated with lower blood pressure. Overweight and obese adults who took up this practice managed to lose weight and keep it off, improve their eating behaviors and attitudes, and decrease anxiety and depression, which are typically associated with obesity. A 2007 study at the University of Toronto showed that human beings interact with the world in two ways, using two different sets of networks. The first one is the default network, which includes areas of the brain associated with memory as well as regions of the medial prefrontal cortex. It is called default because it becomes active when not much else is happening. It is the network at work when you are relaxing, thinking, planning, and daydreaming. It is also active when you think about yourself or other people. Our brains hold a vast amount of information about our own history, and that of other people. When this network is active, you take in information from the outside world, process it through a filter of perception and add your interpretations. It is active for most of your waking moments and doesn’t take much effort to operate. Not that there’s anything wrong with this network, it’s just that you don’t want to limit yourself to it. This is where the second one comes into play. The second network is direct experience. When it is active, a number of different brain regions become more active. This includes the anterior cingulate cortex, a region central to switching your attention, and the insula, a region that relates to perceiving bodily sensations. When this direct experience network is activated, you are experiencing information perceived by your senses in real time. As you lie on the beach, your attention is on the warmth of the sun on your skin, the cold beer in your hand and the cool breeze in your hair. A series of other studies shows that these two networks are inversely correlated. In other words, if you think about an important deadline while you do the dishes, you are more likely to overlook a piece of broken glass and cut your hand or drop a dish and break it, because the brain map involved in visual perception is less active when the first network is activated. Your senses don’t work as much when you are ruminating. You don’t hear as much, or feel as much, or see as well as you would if the other network was more active. Even your favorite dish doesn’t taste as good when you are in this state. The good news? This scenario works both ways. When you focus your attention on the information your senses are perceiving, such as the feeling of the water on your hands while you do the dishes, it reduces activation of the first network. This explains why, for example, if you are worrying about the impending deadline, it may help to take a deep breath and focus on the present moment. In other words, to be mindful of the present. All your senses “come alive” at that point in time. You can experience the world through both networks. One is useful for planning, developing strategies and goal setting. You can also experience the world more directly, which makes it possible to perceive more sensory information. Experiencing the world directly allows you to get closer to the reality of any event. You perceive a bigger amount of and more accurate information about events occurring around you. Being aware of more information in real time makes you more flexible in how you respond to the events around you. You also become less captive to the past, your beliefs, habits, expectations or assumptions, and better able to respond to situations as they unfold. The above-mentioned studies show that people who regularly practiced noticing the work of the two networks, such as those who practiced yoga and mindfulness regularly, had stronger differentiation between the two neural paths. They knew which network they were “on” at all times and were able to switch between them more easily. Conversely, those who hadn’t practiced noticing these networks were more likely to switch to the first one automatically. A mindfulness scale study by Kirk Brown found that people with a high score were more aware of their unconscious processes. Moreover, these people had more cognitive control and were better able to shape what they say and do compared to people with lower scores. If you’re on the beach in the breeze and you’re a relatively mindful person, you are more likely to focus on the good things about the present moment and less likely to think about problems and issues. When you make this change in your attention, you change the network that dominates your thought patterns, and this can have a long-term impact on how your brain works too. 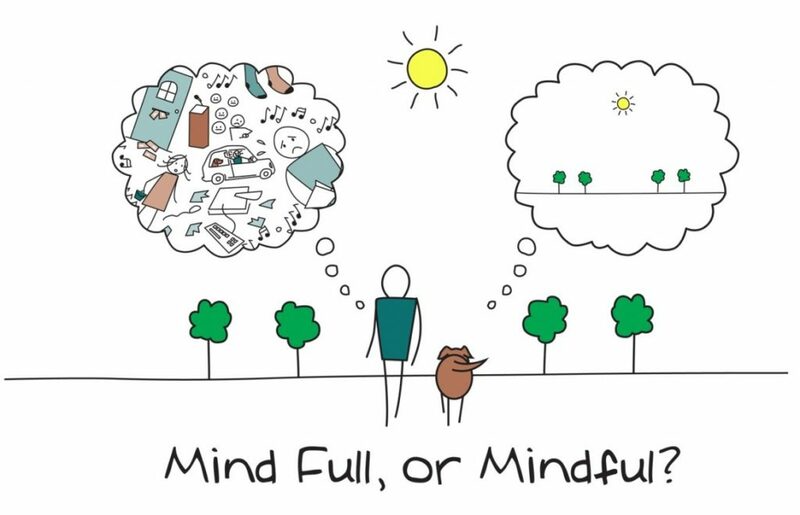 How Do I Become More Mindful? It’s easier than you think. Please read the following brief meditation practice! You will learn to practice mindfulness in three easy steps. This ritual is useful when feeling anxious, pressured or panicked. You will experience stress relief almost immediately. It should take about a minute to perform. Close your eyes and take a deep breath in for a count of four, and then exhale for a count of eight. Our bodies relax when we exhale over a longer period of time than we inhale. As you breathe in, visualize the movement of oxygen through your lungs. As you inhale, imagine all the negative thoughts and feelings floating away. Repeat five times. This meditation helps develop better focus, attention and a greater overall sense of clarity and calm over time. It should be performed a few times a day. Find a comfortable place to sit. Sit up straight, inhale and exhale slowly. Start counting your inhales and exhales from one to ten (inhale one, exhale one; inhale two, exhale two; etc.). When you reach ten, start again, this time counting down to one. Do this five times. After the fifth round of breath-counting, just continue to breathe at this calm, steady pace for a couple of minutes, visualizing the breath moving through the lungs and feeling its physical contact with the body. Finally, this mindfulness exercise helps improve body awareness and ease tension after a long day. It can also help improve your sleep, which is why I suggest doing it before falling asleep at night. The body scan meditation exercise allows us to identify where unconscious, negative patterns of thought exist in us and helps dissolve them with our own awareness, making it possible for us to become fully, completely relaxed. Studies indicate that including body scan meditation in a mindfulness practice greatly improves depressive symptoms and reduces fatigue and sleep problems. Sit or lie down in a comfortable position. Counting to ten or twenty, find a calm, steady breath. Now, starting with the right toes, bring your awareness to sensations in the body. Breathe slowly on each focal point. After the toes, shift to the right foot, right ankle, calf, knee, thigh, and hip. When you feel a tense or uncomfortable spot, breathe into it gently, relaxing as you exhale. Repeat through the left side of the body. Move on to the pelvic region, abdomen and lower back, up through the torso, then shift to the fingers, hands, wrists, up the arms, through the shoulders, neck, jaw, temples, ears, eyes, forehead, top of the head and skull. Do you find yourself feeling stressed or exhausted often? Have you ever been in the other situations described in this article? If the answer is yes, mindfulness will definitely help you. Try these exercises, and be consistent. Be aware of your thoughts and feelings at all times, and live in the here and now. When you find yourself obsessing over an issue you have no control over, shift your thoughts to something more immediate – the room or space you are in, the light, or even something as banal as the gentle breeze. If you find yourself struggling to manage over-eating and emotional/comfort eating, contact us today on 07 5574 3888 or email [email protected] to discuss how Ashley our Gold Coast Psychologist can help you develop healthier food mindset and habits. This entry was posted in Blog Article, Meditation, Stress and tagged anxiety, depression, meditation, mindfulness, relaxation, sleep, stress.